Unless you’ve been living under a rock, you’ve no doubt heard about How to Get Away With Murder. I can’t praise this show highly enough. Seriously. It’s AMAZING! But, actually, in the effort of honesty, you probably shouldn’t trust me on this one. I am the very opposite of an impartial viewer. Because, this show, it feels like, is made specifically for me. Not one, but TWO over-arcing murder plots. Fast-paced story telling. Attractive (but not cookie-cutter) leads. Episodic trials of the week. Screaming, crying, plotting, and soapy amazingness. It’s hard to trust in a post-Lost era, but I believe that the creator, Peter Nowalk, has it all planned out. I’m choosing not to try and figure anything out — I just want to go along for the ride. But, holy crap, HOW ARE THEY ALL CONNECTED?!? WAS IT ALL PARIS’S* FAULT?!? 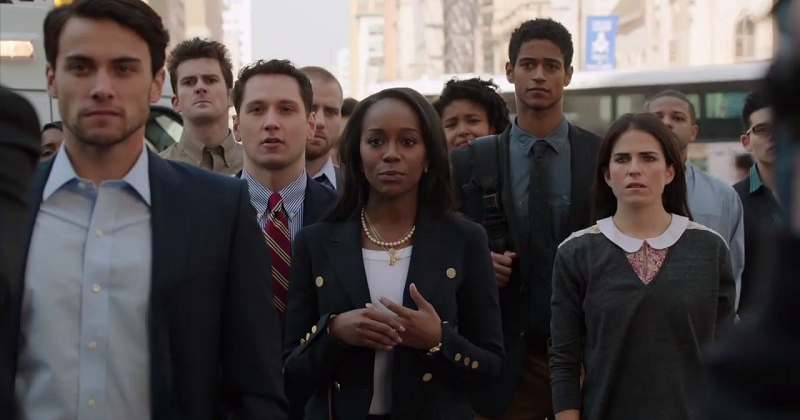 DID ANNALISE MAKE THEM DO IT? WHAT’S UP WITH THE GOTH CHICK?!?!!? Ahhh, is it Thursday again, yet? *Liza Weil will never not be Paris from Gilmore Girls. According to Wikipedia, Jungle’s music has been described as, “‘midtempo 1970s-style funk’ and their music is intermixed with tropical percussion, wildlife noises, falsetto yelps, psychedelic washes and badoinking bass.” How can you not love that? They’re playing at The Imperial Vancouver this Tuesday night. The show appears to be sold out, but it would be worth trying your last minute luck as it’s going to be an incredible show. Since I already blogged about it twice in the past week, might as well go ahead and officially recommend this book. It’s not going to blow your mind or change your life, but it will keep you warm** on a grey fall day. While I hope you all have the opportunity to travel far and often, I know many of your days will be spent in your hometown, working hard (to save for traveling? ); things can get a little monotonous, so whenever you can, treat yourself to book that will transport you somewhere else. An Embarrassment of Mangoes does just that. 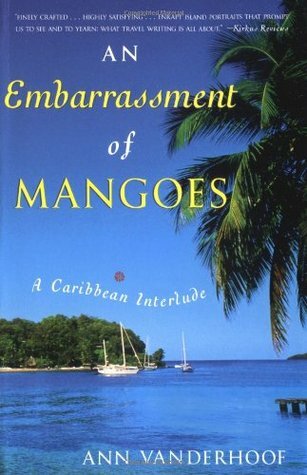 Ann and her husband take you all over the Caribbean on a fun, easy, and enjoyable literary sailboat ride. Anyways, Benedict Cumberbatch and Keira Knightley are two of the best of their generation. This is going to be a fantastic film.